Wedding dress shopping should be exciting, fun, and easy! Here are a few things to expect when shopping for your wedding gown. Except to find the ONE! Go into every appointment thinking “I am going to find my wedding dress”. You need to put yourself in the right mindset at the beginning of your shopping experience to be ready to say “yes” when you do find it. What if you don’t find it at the first or second store? No sweat - if you don’t find it at the first or second store then keep looking. But if you do, celebrate that moment and be happy the search was fun and easy. Here at Mon Amie we pride ourselves on giving every bride the best experience possible. We want your experience to be fun and exciting! We will offer you and your guests champagne to get the party started. 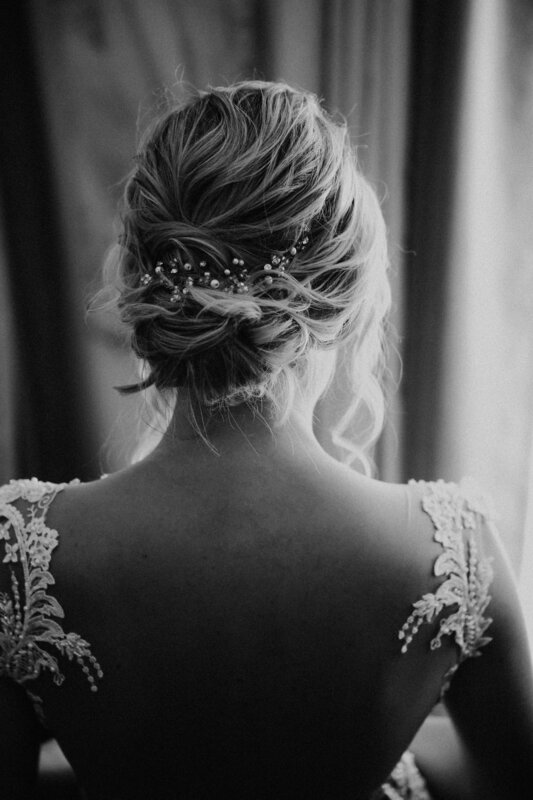 Your stylist is an expert when it comes to wedding gowns. Your stylist will listen to your wants and needs and carefully curate a selection of gowns they think you will love! If you want to take a gander around the store and choose a few on your own that is 100% ok, too! (Just let us do the heavy lifting for you)! At Mon Amie we require 60% down when you order the dress and the remaining 40% when it comes in! We hope this makes the purchase a little easier than having to pay the amount in full. It’s totally normal to really like more than one wedding gown when it comes to decision time… Think to yourself - which gown really makes you feel like the bridal version of yourself and go with your instincts. Expect to fall in love with something totally different that what you originally thought you would like. It happens ALL the time! You will come in with one idea and love something totally different - it’s normal. Be open minded and remember to make this decision with your heart (not your mind).